(a) It is the responsibility of every licensee under this title 4 to provide pest control services when an infestation of bed bugs is found or suspected on any licensed premises. Everv licensee shall maintain a written record of the pest control measures performed by the pest management professional and shall include reports and receipts prepared bv the pest management professional relating to those measures taken. The record shall be maintained for three years and shall be open to inspection by the departments of health, buildings, and business affairs and consumer protection. (b) It shall be unlawful for any licensee under this title 4 which provides sleeping accommodations for hire or rent for transient occupancy by guests to rent, hire, or otherwise provide, any such sleeping accommodation in which an infestation of any bed bugs is found or suspected, unless an inspection by the pest management professional has determined that no evidence of bed bugs can be found and verified. (c) For purposes of this section, the following definitions apply: “Pest management professional” has the same meaning ascribed to that term in section 7-28-810. “Transient occupancy” means any occupancy on a daily or nightly basis, or any 1 part thereof, for 30 or fewer consecutive days. 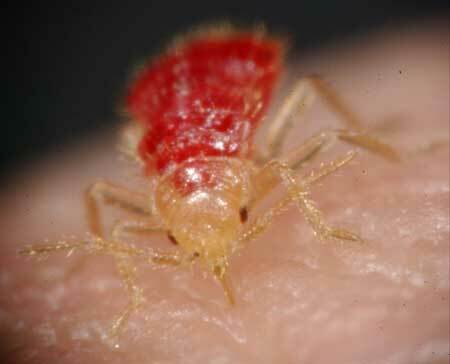 5-12-101 Bed bugs – Education. For any rental agreement for a dwelling unit entered into or renewed after the effective date of this 2013 amendatory ordinance, prior to entering into or renewing such agreement, the landlord or any person authorized to enter into such agreement on his behalf shall provide to such tenant the informational brochure on bed bug prevention and treatment prepared by the department of health pursuant to section 7-28-860. 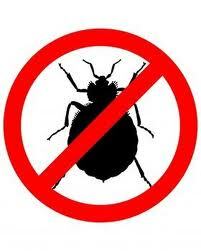 7-28-370 Disposal of furnishings, bedding, clothing or other materials infested with bed bugs. (a) No person shall place, discard or dispose of any bedding, clothing or other materials infested with bed bugs on the public way or in a refuse container or dumpster located on the public way, except when such bedding, clothing or other material is placed in or near the person’s refuse container or dumpster for pick-up as trash and the bedding, clothing or other material is totally enclosed in a plastic bag and labeled as being infested with bed bugs. (b) No furnishing, bedding, clothing or other material infested with bed bugs shall be recycled. (c) For purposes of this section, “bedding” has the same meaning ascribed to that term in section 7-28-810. “Bedding” means any mattress, box spring, foundation, or studio couch made in whole or part from new or secondhand fabric, filling material, or other textile product or material and which can be used for sleeping or reclining purposes. “Commissioner” means the commissioner of public health. “Dwelling unit,” “landlord,” “rent” and “tenant” have the meaning ascribed to those terms in Section 5-12-030. “Multiple rental unit building” means a building which contains hwo or more rental units. A “multiple rental unit building” does not include a condominium or cooperative building. (iii) follows National Pest Management Association Best Practices for the extermination of bed bugs. “Rental unit” means any dwelling unit which is not owner occupied and is held out for rent to tenants, including any single family home held out for rent to tenants. 7-28-820 Bed bugs-Nuisance. Bed bugs are hereby declared to be a public nuisance subiect to the abatement provisions of this chapter. 7-28-830 Bed bug infestation-duty to exterminate. (a) In any rental unit in which an infestation of bed bugs is found or reasonably suspected, it is the responsibility of the landlord to: (1) provide pest control services by a pest management professional until such time that no evidence of bed bugs can be found and verified: and (2) maintain a written record of the pest control measures performed by the pest management professional on the rental unit. The record shall include reports and receipts prepared by the pest management professional. The record shall be maintained for three years and shall be open to inspection by authorized city personnel, including but not limited to employees of the departments of health and buildings. (b) In any multiple rental unit building in which an infestation of bed bugs is found or reasonably suspected, it is the responsibility of the landlord to: 1) provide pest control services by a pest management professional until such time that no evidence of bed bugs can be found and verified within the building or portion thereof including the individual rental units; and (2) maintain a written record of the pest control measures performed by pest management professional on the building. The record shall include reports and receipts prepared bv the pest management professional. The record shall be maintained for three years and shall be open to inspection by authorized city personnel, including but not limited to employees of the departments of health and buildings. 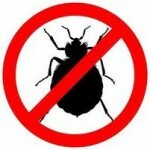 (c) A landlord shall provide the pest control services within 10 days after: (1) a bed bug is found or reasonably suspected anywhere on the premises; or (2) being notified In writing by a tenant of a known or reasonably suspected bed bug infestation on the premises or in the tenant’s rental unit. (2) any other method approved by the commissioner in rules and regulations. 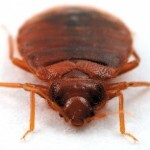 (5) testified in any court or administrative proceeding concerning any bed bug infestation within the tenant’s rental unit or the premises in which the tenant’s rental unit is located. If the landlord acts in violation of this subsection (e), the tenant has a defense in any retaliatory action against him for possession and is entitled to recover possession of the rental unit or terminate the rental agreement and, in either case, may recover an amount equal to two months rent or the damages sustained by him, whichever is greater, and reasonable attorneys’ fees. If the rental agreement is terminated, the landlord shall return all security and interest recoverable under Section 5-12-080 and all prepaid rent. In an action by or against the tenant, if there is evidence of tenant conduct protected herein within one year prior to the alleged act of retaliation, that evidence shall create a rebuttable presumption that the landlord’s conduct was retaliatory. The presumption shall not arise if the protected tenant activity was Initiated after the alleged act of retaliation. 7-28-840 Condominium and cooperative buildings-plan for treatment of bed bugs. (a) No later than 90 days after the effective date of this section, the governing association of a condominium or cooperative building shall prepare a pest management plan for the detection, inspection and treatment of bed bugs in the building. The plan shall include the provisions of section 7-28-830(c). (b) The governing association shall maintain written records of anv pest control measures in the building performed by a pest management professional retained by the governing association and any report prepared by the pest management professional. The plan and records shall be: (1) maintained either on-site in the building or at the property management office: (2) maintained for three years: and (3) open to inspection upon request by authorized city personnel, including but not limited to employees of the departments of health and buildings. (c) Every owner of condominium unit or a lessee with a proprietary lease in a cooperative shall immediately notify, in writing, the governing association of any known or reasonably suspected bed bug infestation in the presence of the unit or cooperative, clothing, furniture or other personal property located in the unit or cooperative, and cooperate with the governing association in the control, treatment and eradication of bed bug infestation found or suspected to be in the unit or cooperative. “Condominium unit” or “unit” has the meaning ascribed to that term in section 13-72-010. “Cooperative building” means a building or buildings and the tract, lot, or parcel on which the building or buildings are located and fee title to the land and building or buildings is owned by a corporation or other legal entity in which the shareholders or other co-owners each also have a long-term proprietary lease or other long-term arrangement of exclusive possession for a specific unit of occupancy space located within the same building or buildings. “Cooperative” is an individual dwelling unit within a cooperative building. “Governing association” means the board of managers of a condominium homeowners’ association or the board of directors of a cooperative building. (e) The commissioner shall prepare and post on the health department’s publicly accessible website a sample plan for the detection, inspection and treatment of bed bugs for the governing association of condominium or cooperative building. The sample plan shall set forth the best practices for the detection and treatment of bed bugs in such buildings. (a) Within 5 days after a tenant finds or reasonably suspects a bed bug infestation in the presence of the tenant’s dwelling unit, the tenant shall notify, in writing, the landlord of any known or reasonably suspected bed bug infestation in the presence of the tenant’s dwelling unit, clothing, furniture or other personal property located in the building, or of any recurring or unexplained bites, stings, irritation, or sores of the skin or body which the tenant reasonably suspects Is caused by bed bugs. (4) dispose of any personal property that a pest management professional has determined cannot be treated or cleaned before the treatment of the tenant’s dwelling unit. (5) prior to removing any personal property from the tenant’s dwelling unit, safely enclose in a plastic bag any such personal property while it is being moved through any common area of the building, or stored at any other location. The personal property shall remained enclosed in a plastic bag until such time that the property is either properly disposed of or treated and no evidence of beg bug infestation can be found and verified. (c) Prior to inspection or treatment for bed bug infestation, the landlord shall send a written notice to the tenant of the rental unit being inspected or treated, which advises the tenant of the tenant’s responsibilities under this section and sets forth the specific preparations required by the tenant. (d) This section shall not apply to any tenant of an assisted living or shared housing establishment, or similar living arrangement, when the establishment is required to provide the tenant assistance with activities of daily living or mandatory services. In such cases, the landlord will be responsible to make the necessary preparations, such as cleaning, dusting or vacuuming, of the tenant’s rental unit prior to treatment in accordance with any pest management professional’s recommendations. For purposes of this subsection, the terms “assistance with activities of daily living,” “assisted living establishment.” “mandatory services” and “shared housing establishment” have the meaning ascribed to those terms in the Illinois Assisted Living and Shared Housing Act. 210 ILCS 9/10. 7-28-860 Sale of secondhand bedding. “Act” means the Illinois Safe and Hygienic Bed Act. 410 ILCS 68/1. “Bedding.” “manufacturer.” “renovator.” “rebuilder.” “repairer.” “sanitizer.” and “secondhand material” have the meaning ascribed to those terms in section 410 ILCS 68/5 of the Act. “Secondhand bedding” means bedding that is made in whole or part from secondhand material or that has been previously used or owned. (b) Every manufacturer, renovator, rebuilder. repairer and sanitizer of bedding whose product is sold in the citv shall comply with the Act. (c) Every person who sells at retail any secondhand bedding shall post in a conspicuous location nearby the secondhand bedding a written notice in English. Spanish. Polish and Chinese that the bedding is made in whole or part from secondhand material or was previously owned or used. (d) Every person who sells at retail any secondhand bedding shall provide to the purchaser of such secondhand bedding a written notice in English, Spanish, Polish and Chinese that the bedding is made in whole or part from secondhand material or has been previously owned or used. (e) Every person who sells at retail any new or secondhand bedding shall inspect all material for soiling, malodor, and pest infestation, including bed bugs, prior to use, sale or distribution of the bedding. If any material in the bedding appears to be soiled, malodorous or infested with pests, the person shall not use, sell or distribute such bedding. 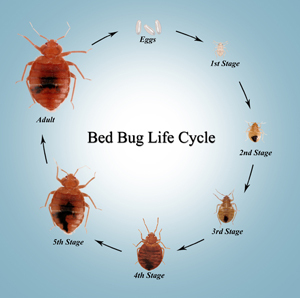 If the bedding is infested with bed bugs, the person shall dispose of such bedding and material in an enclosed Plastic bag and labeled as being infested with bed bugs. (5) contact information as to where people can obtain more information: and (b) information relating to licensing, registration or certification by the State of Illinois to perform pest control services. 7-28-880 Rules. The commissioner of health and the commissioner of buildings shall have joint authority to promulgate rules and regulations necessary to implement this article. (a) Inspectors from the departments of buildings and health shall have authority to inspect the interior and exterior of buildings, other structures, or parcels on which a building is located for bed bug infestation and when any evidence is found indicating the presence of bed bugs at that site and to report such evidence to the appropriate commissioner. (b) This article may be enforced by the departments of public health or buildings. In addition, the department of business affairs and consumer protection shall have the authority to enforce section 7-28-860. 7-28-900 Violation-penalties Any person who violates this article shall be fined not less than $300 nor more than $500 for the first violation, not less than $500 nor more than $1.000 for the second violation within twelve-months of the first violation, and (3) not less than $1.000 nor more than $2.000 for the third or subsequent violation within such twelve-month period. Each dav that a violation continues shall constitute a separate and distinct offense to which a separate fine shall applv. This ordinance takes effect 180 days after its passage and approval. 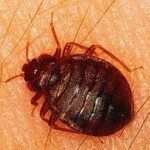 The City of Chicago has recently been named the nation’s #1 city infested with bed bugs. Everyday MTO’s tenants’ rights hotline receives calls from renters throughout the City and suburbs dealing with the pesky pests. Bed bugs are not unique to Chicago. They are undoubtedly a nuisance and hard to control. Controlling bed bugs requires tenants and landlords working together. The ordinance will be enforced by the Department of Buildings and the Department of Public Health. If any person is found violating the ordinance, that person may be fined $300.00 to $1,000 per day for each offense. By complying with the ordinance, these fees can be avoided. The full ordinance can be found at www.cityofchicago.org. You can make a request for a City inspector here. For more information on tenants’ rights, please call MTO’s hotline at 773-292-4988/Monday-Friday 1-5 pm or visit www.tenants-rights.org/bed-bugs-faq. You can read the full ordinance here. Taina Rodriguez was at the dog beach with her husband and two mini schnauzers one afternoon last June when she got a disturbing phone call from her neighbor. There’s been an explosion in your apartment, the neighbor said. You should hurry home. The cause of the fire, according to Rodriguez: bedbugs. Rodriguez says Puchalski had been using propane tanks in her bedroom to treat the bedbugs for a couple months—often when she and her husband were home—before the explosion occurred. The day of the fire, she and Velarde had been out of the house in the morning; when they stopped at home to pick up the dogs and take them to the beach, she noticed that their bedroom door was closed. Neighbors saw the explosion in their bedroom, and one claims to have seen Puchalski go in after the fire to remove the tank, according to Rodriguez. Puchalski says he never used propane tanks in the apartment. When I called he told me that his brother Jack was Rodriguez’s landlord and I should talk to him, but eventually admitted that he was usually the one Rodriguez would call when she was having problems with her apartment. (Jack Puchalski never returned my calls.) Greg at first avoided my questions, but finally said that Rodriguez “probably” had called him about a bedbug problem, and “probably I sprayed.” He was adamant that he had never put propane tanks in the apartment, though, and said that the fire was caused not by an explosion but by an electrical problem. Rodriguez argues that their bathroom fixtures—sink, toilet, bathtub—ended up on the second floor of her building as a result of the explosion. She doesn’t think that would happen from an electrical fire. Bedbugs have been feeding on humans since we first lived in caves, and humans have been going to extremes to get rid of them for just about as long. In 1777 The Compleat Vermin-Killer advised people to fill cracks in the bed with gunpowder and light it on fire; another remedy, recommended by Good Housekeeping in 1889, was composed of a mix of alcohol, turpentine, and highly toxic mercury chloride. Fumigation was also popular, first with brimstone (sulfur) and then in the 1900s with the toxic gas hydrogen cyanide. It’s easy to see why bedbugs can inspire such extreme reactions: the apple-seed-sized bloodsuckers feed on humans at night, usually leaving red, itchy welts behind (about a third of the population has no reaction to bedbug bites). They reproduce quickly, like to hide in small crevices, and can live up to a year between feedings, which makes them very difficult to eradicate. They also travel well: the bugs can crawl through cracks in the walls to an adjacent unit in an apartment building, stow away on used bedding or clothing, or climb onto a bag or coat set down in an infested area. Home remedies notwithstanding, bedbugs flourished in the U.S. up until the 1940s. The introduction of DDT and other pesticides in the ’40s eliminated them almost entirely, and they remained extremely rare for about another 50 years, when reports of them started to multiply exponentially. The 2011 Bugs Without Borders Survey by the National Pest Management Association and the University of Kentucky, which polled close to 1,000 pest control companies, found that 99 percent of them had encountered bedbug infestations in the past year, up from 11 percent ten years ago. No one knows for sure what has caused the uptick, though leading theories include an increase in international travel (bedbugs are more common in developing countries than developed ones), the banning of DDT, and genetic mutations in bedbugs that have made them resistant to insecticides. Getting funding for bedbug research is difficult, though, because bedbugs aren’t known to carry any diseases and most funding agencies are interested in disease vectors. Additionally, Miller says, there aren’t likely to be any new insecticides on the market soon: the approval process takes about ten years. “It could not be better for bedbugs in the United States,” Miller says. There’s very little official tracking of bedbug complaints in Chicago, which makes it difficult to get a sense of just how big the problem is locally. A list released last year by Terminix, a large pest-control company, declares Chicago the fourth most bedbug-infested city in the U.S.,behind New York, Cincinnati, and Detroit; another company, Orkin, says it’s the second most infested city, behind only Cincinnati. But neither company revealed the data behind its claims, and both are for-profit organizations that may do more business in some cities than others. Neither the Cook County nor the Chicago health departments keep records of bedbug complaints; both agencies say it’s because bedbugs don’t spread disease and therefore aren’t considered a public health threat. The Illinois Department of Public Health doesn’t keep up with them either, but Curt Colwell, an entomologist who fields bedbug-related complaints to the department, has been unofficially tracking the number of calls he’s gotten for the past eight years. “I have seen the number of bedbug calls trending upward and relatively unchecked through 2011,” he says. Before 2004 he had no complaints of bedbugs. He got two calls that year, four the next, and ten the year after that; the number has more or less doubled each year through 2010. In 2011 he got 253 complaints, about a third of his total calls. That includes all of Illinois, though Colwell says that Chicago accounts for the majority of his calls. 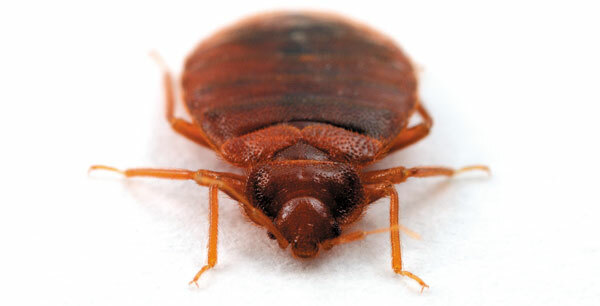 The City of Chicago’s Department of Buildings tracks the number of bedbug infestations reported through 311 calls, and reports a trend similar to the one Colwell has seen. The department started keeping a record in 2006; there were 25 calls that year, 50 the next, and 103 in 2008. Since then the number of calls has increased by roughly 100 each year, totaling 376 in 2011. But that only includes the people who already suspect they have bedbugs when they call, says department spokesperson Caroline Weisser. Calls are tracked by keyword, so if someone says that they’re having an insect problem it won’t be recorded as a bedbug call, even if the city later determines that bedbugs were the issue. And, of course, not everyone who has bedbugs calls the city. The stigma associated with bedbugs means that homeowners are likely to get them exterminated quietly rather than reporting it to anyone. Even renters can be reluctant to come forward. The Metropolitan Tenants Organization started keeping track of bedbug cases in 2009, when it got 215 calls about them; in 2010 they got 307 calls, and 372 in 2011. Those numbers are similar to the ones reported by Chicago’s buildings department, but Sara Mathers, who investigates bedbug complaints for the MTO, believes they’re artificially low. Mathers says infestations are often isolated—just one unit in a building with dozens or hundreds units, for example—but left untreated, bedbugs multiply quickly and can spread to other units. Brittany Barton, 25, was living in a 60-unit building in Edgewater last August when she realized she had bedbugs. She reported it to her management company, and they sent an exterminator to spray her apartment. Barton also threw out her bed and most of her other furniture, along with some of her clothes. About a month later, she noticed more bedbugs, and the exterminators sprayed again. She wrote letters to the other tenants in her building to find out if they were having problems, and the man who lived below her immediately came upstairs to say he had them too but had been too embarrassed to say anything. They suspected but never confirmed that the bugs were coming up from two units below Barton’s, where a hoarder who collected used furniture lived. Barton says the management was trying to get the woman evicted, but in the meantime, no matter how many times her own apartment was sprayed the bedbugs came back. Barton went to her management company and asked to be let out of her lease, which they eventually agreed to—though a manager also told her, “You can leave your apartment, but anywhere you go, you’re going to bring the infestation with you.” Barton says she was very careful when she moved and hasn’t had any problems in her new place. With the help of the MTO, Mensah and a few other residents were able to organize and get the management to implement better practices for eradicating the bedbugs, like investing in a heat treatment machine (bedbugs can’t survive temperatures above 113 degrees Fahrenheit). In addition, they worked with the Department of Housing and Urban Development, which manages Section 8 programs, to get funds to replace the furniture that had been thrown away. Ann Hinterman, housing specialist for 49th Ward alderman Joe Moore, deals with the bedbug calls that come to Moore’s office. “One of the challenges is that although there are ordinances in the municipal code that tell landlords and tenants how pest infestations need to be handled, they aren’t specific to bedbugs,” she says. Landlords are required to exterminate if two or more units of a multiunit building are infested, or if the infestation of a single unit is due to landlord negligence. Getting landlords to follow through and pay for the extermination, though, is a different matter. Robert Shumate, 29, who works in management at a hotel downtown and lives in a 176-unit building at Sheridan and Foster, realized he had bedbugs last July when he kept getting bitten. “When I discovered I had them, I went crazy,” he says. He went to Google to find all the information he could, then reported the problem to his building’s management company. He was told that they’d call an exterminator, and also that they wouldn’t pay for it. “I was like, whatever, I need for them to be gone,” Shumate says. The exterminator came out and sprayed, then sprayed again a month later after Shumate started getting bitten again. Meanwhile, he had been in touch with his alderman, the MTO, and the City of Chicago, and learned that paying for the exterminator shouldn’t be his responsibility since his unit wasn’t the only one in the building affected: a neighbor told him that there were several other units that had bedbugs. The management company, however, said otherwise, claiming Shumate’s infestation was an isolated one and blaming him for the bedbugs because he worked in a hotel. Mathers would like to see stronger legislation around bedbugs, stating that it’s a landlord’s responsibility to pay for extermination—with specific consequences if a landlord doesn’t follow through. In fact, most states don’t have laws specific to bedbugs, especially ones that dictate what a landlord’s responsibilities are. Both New York and Maine have passed bedbug legislation in the last couple years, and Florida and Texas mention bedbugs in their pest control laws—but that’s about it. Illinois, in fact, does mention bedbugs in one law, but it’s not exactly recent: it requires railroad cars to be bedbug free. State laws about who pays for extermination are even less clear, says Colwell. Last year the Illinois Department of Public Health’s Structural Pest Control Advisory Council formed a bedbug subcommittee, which produced a report of recommendations to curb the bedbug problem in Illinois; the report will be presented to the legislature in the next month or so. Among the recommendations: define landlord/tenant responsibilities (tenants must report bedbugs and facilitate their removal; landlords are responsible for getting them exterminated), improve public awareness, and enable local health departments to respond to bedbug complaints. What the legislature will do with those recommendations remains to be seen, Colwell says, but in the meantime the bedbug problem tends to be particularly severe in low-income buildings where landlords refuse to deal with the critters and tenants can’t afford to pay for professional pest control themselves. Bowman started attacking the bedbugs herself, spraying the entire place with alcohol every day after her daughter left for school, even standing the mattresses on end to get all parts of them. It’s an extremely difficult way to eradicate bedbugs, which are good at hiding in tiny crevices, but she eventually managed it. The management doesn’t tell people who are moving in that there are bedbugs and mice in the building, Bowman says, and now that they know she’s working with the Metropolitan Tenants Organization to help organize other residents, they’re trying to kick her out. Despite everything, Bowman doesn’t want to move: rent is cheap, and if she moves she’s likely to lose her job in home health care, which is in the same building where she lives. Metropolitan Tenants Organization, in partnership with Region 5 HUD, Georgia HAP, Shriver Center, Community Investment Corporation, and several other agencies and community organizations, is happy to announce the completion of our guidelines memo on the best practices of bed bug control. Region 5 HUD distributed this memo to all Region 5 HUD property owners and agents in March 2011. Members of this partnership conducted much research on the best practices of bed bug control and on already existing HUD policy on general pest control to create this document. This guidelines memo was written largely in part in response to the bad practices that have been employed by both landlords and tenants in efforts to rid their properties of infestations. Due to the dramatic spike in the frequency of calls to the Metropolitan Tenants Organization’s Tenants Rights’ Hotline regarding bed bugs, it came to the attention of MTO that there is not much awareness nor are there many protections available to renters who deal with bed bug infestations in Chicago. Since then, MTO has worked diligently to ensure that there will be more education around the issue and more protections available to renters. MTO convened this roundtable of partners in response to these bad practices in efforts to inform renters, landlords, and private homeowners on how to eradicate bed bugs in the most safe, effective, and economical ways. Many initiatives were discussed, including an educational campaign for both renters and landlords on how to effectively deal with bed bugs and an initiative to prevent the spread of infestations by properly marking or destroying infested mattresses and other pieces of furniture that have been disposed of in alleys, in addition to the memo/policy on the use of best practices in bed bug control. The initial goal of the roundtable was to create a Region 5 HUD bed bug policy to be distributed to all HUD property owners and agents in the region. As it turned out, federal agencies do not have the jurisdiction to write and enforce policy at the regional level. As an alternative, the roundtable decided to go ahead with writing the document as a guidance memo to Region 5 HUD owners and agents. Click here to read the document in full. The roundtable will next work on getting national HUD to create and enforce a bed bug policy on the national level. Bed bugs have returned, invading our hospitals, hotels, public transportation, and most unsettling of all, our homes. While bed bugs do not transmit disease, bed bugs have proven to be a serious nuisance to homeowners and renters alike, across the nation. While New York City leads the nation in reported incidents of bed bug infestations, according to an August 2010 report released by Terminix, the Windy City does not find itself far behind – we live in the fifth most bed bug infested city in the U.S. MTO can certainly attest to this, as hotline calls pertaining to bed bugs have increased dramatically in the last two years. In 2010, MTO received 313, usually very frantic, calls with complaints of bed bugs. Two years ago, bed bug calls to MTO’s hotline were nonexistent. -and HUD should allocate a long term source of funding to help landlords and renters combat bed bug infestations. MTO is working on the bed bug issue at the state level as well. Meron Kahssai, an MTO Healthy Homes Organizer, has been appointed to the Illinois Subcommittee on Bed Bugs, a subcommittee of the Illinois Structural Pest Control Advisory Council. MTO will serve on this subcommittee as the voice of renters and will provide the necessary insight on the plight of renters to the other members of the state’s bed bug subcommittee. The goal of this subcommittee is to create a report with recommendations to the IL General Assembly on the prevention, management, and control of bed bugs which include recommendations on an educational campaign, proper transport and disposal of bed bug infested materials, and best practices of treatment and eradication. Tenants who have dealt with bed bugs are encouraged to join MTO’s bed bug committee. This committee is open to anyone who is interested in serving the need of renters affected by bed bugs by pushing policies for both subsidized and market rate renters. Please contact Meron Kahssai at 773-292-4980 ext. 229, if interested. Bed bugs will be the topic of discussion at the January 20th Tenant Congress meeting at the Chicago Urban League (4510 S. Michigan). Following a presentation on bed bugs, the floor will be open for a question and answer session. This meeting is open to the public.